Achieve targeted release of pressure points with these firm massage roller balls. These small massagers allow you to target tight, hard-to-reach spaces and are perfect for loosening tension in the neck, feet and hands. Use with the RAD Block for additional leverage and stability. You can use this to roll under your back, but it is difficult to do it as described in the instructions, as it is hard to roll underneath you. You have to hold your head in an awkward position and push with your feet. Hi Pauline, Thank you for purchasing the RAD Rounds. 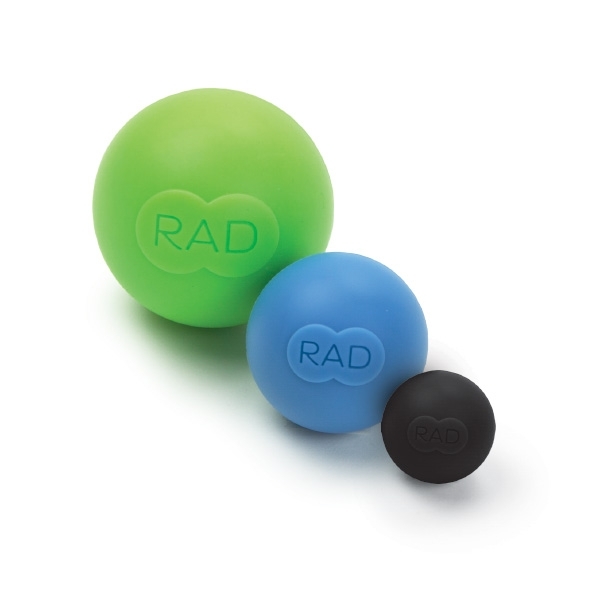 If you are looking for a massage tool that is ideal for targeting the back and spine, the RAD Roller or RAD Helix are designed for that purpose. The Rounds are more suited to smaller areas such as the neck, feet and hands.